Early on in my marriage my husband came home from work and one of the first things he commented on was the wilting (nearly dead) plant in the front hall. He gave me a bad time for forgetting to water our “love fern”. I admitted that I had completely neglected the plant we had been given for our wedding years earlier, but reminded him that I had not forgotten to feed and water the children!!! Being a mother is a complicated and demanding job. Everyday we have a list of things that is far longer than we will ever accomplish in the next 12-16 hours or for that matter in the next several years. We have high expectations for ourselves. A long time ago it was decided that we needed a day to honor the mothers in our life. And even on that one day my children will comment that we need a “Kid’s Day”… really? I remind them that “Kid’s Day” is every other day of the year! Whereas, Mother’s Day is a wonderful opportunity to show your mother just how much you appreciate her love, sacrifice, and example. And then it sets in… mommy guilt! What no one tells you as you become a mother is that this is also a day that can come with a lot of guilt, usually preceded by the onslaught of demoralizing self-imposed questions. Why can’t my kids rooms all be clean and decorated like “Suzy’s”? Why can’t I be more patient and fun with my kids like “Mary”? Or… well, you know the drill – most likely all too well. You also know, even if it’s deep within, that there is no “perfect mother.” Let us not let our social environments, whether it be the park, church, school or even Facebook perpetuate this unforgiving “perfect mother” syndrome. If you are like me, our social circles can be laden with pictures of happy moms taking their children on outings, discussions of throwing elaborate parties, vacations to exotic destinations, let us not forget the perfectly decorated homes that remain spotless even when they have their craft afternoons with their kids. Now don’t get us wrong, we love these posts! We just need to remember the truth behind these moments for our family and friends. The truth is, YOU TOO ARE “SUPER MOM” … YES YOU ARE!! Don’t fall victim to comparing your worst moments with everyone else’s best. It’s not a contest… WHOOA! Wait, did we just blow your minds? I know… it’s true, IT’S REALLY NOT A CONTEST! In the grand perspective of life every mom has their failing moments and successful moments. And the fact remains, there is no one “right way” to be the best mom to your children. There is no “perfect mom” handbook and frankly if there was, there would millions of versions since no child is alike! It comes down to, we try… we fail… we try something different… most likely, we fail again… and then just when you think we’ve got it right for one kid… we’ve failed with another… so we try again! Our intentions and efforts to share our love for our family… that’s what makes us… YOU – SUPER! You haven’t given up the fight to be the best mom you can be for your kids. So you are, in our book, SUPER MOM. So, celebrate little victories, counting the blessings and remember EVERY mom can WIN! Really… every mom! Forgive your mistakes. Your kids are quick forgivers and you can be too! We love this article by our friends at Finding Joy. They have great ideas as well! 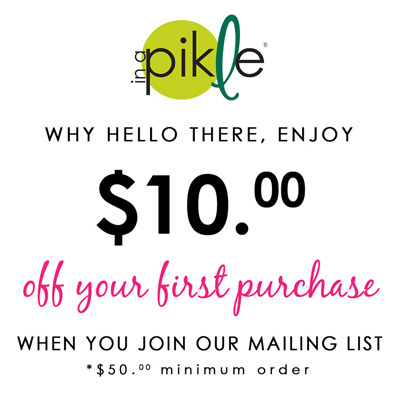 At “In A Pikle” we know that life constantly throws us curve balls and things rarely turn out the way we think. Being a mom is a hard job… but filled with great rewards when we remember those who are most important to us and CELEBRATE with all mom’s our little victories – together as a team and not as a competition! Happy Mother’s Day… every day!